Time to get rid of your old hard drive and switch to a SSD. Powered by SATA III 6Gbps interface, the S60 is able to boot up your computer and launch applications within seconds. The series is designed for users looking for a high performance solution at an affordable price that everyone can get old computers upgraded without spending a fortune. This series also offers a different choice of capacities ranging from 60GB to 480GB. 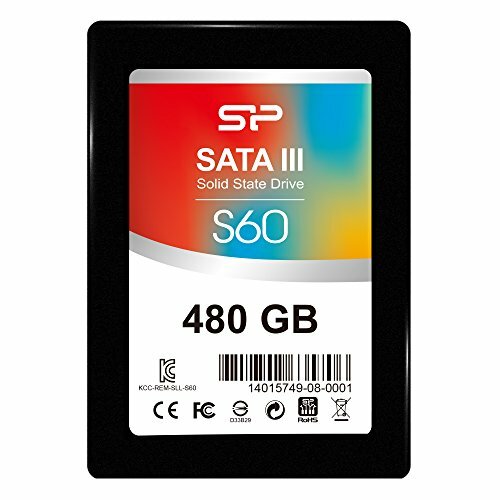 The S60 is built with Bad Block Management, which can continually monitor and replace bad blocks to keep your system in good condition with prolonged lifespan of the SSD. The S60 is one of the lightest and thinnest SSD of its kind yet it is shock- and vibration-proof since it contains no moving parts. Furthermore, S.M.A.R.T. monitoring system and ECC technology are built to promise higher data transmission safety. The Slim S60 is backed by a 3-year warranty that guarantees complete services and technical support.